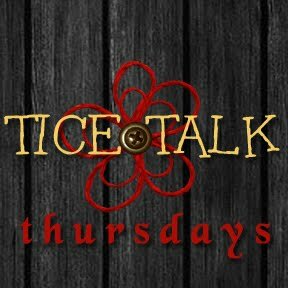 Ready for some Tice Talk Thursday? Did you figure out your whys and your whats from last week? This week’s chapter, Motives and Motivations, will help solidify your whys even more. Tice talks about the drive and energy that can help us meet our goals. He shares that this comes from having our motives and intent set in the right place. Places like truth, love and justice, rather than places like selfishness, revenge or bitterness. This chapter also focuses a lot on values. Tice explains that our values give us our “whys”. We need to know what we value most and in what order so that we can put things in perspective. Otherwise, Tice explains, “you tend to value everything about the same–and that means you have a disaster every hour”. Your values are why you work, clean house, spend your time the way you do, treat people the way you do, etc., etc., etc. Is it God, the paycheck, your family, an obsession, love, to get ahead, to win, etc., etc., etc.? The task of setting our own values allows us to focus our energy and efforts in areas that are most important. However, it is important to realize that everyone’s values are different and we need to respect others or we might just end up violating our own values. Seriously, this sums me up. I go through periods of such clarity in life–full of purpose, intent, driving towards something– and then there are those mediocre times when I am just going through the motions and struggle to get through the day. This has always aggravated me–I am frustrated that I waste periods of my life when I am not focused. However, it bothers me more so now– since there are no “do-overs” when it comes to raising Miss Add. She is watching my every move. What do I want her to see in me? What values does she see displayed when she sees me with her little eyes? She is like an honest little mirror following me around–everywhere. “What good does it do to impress a million people if you aren’t impressed with you?” Tice asks. He explains that if you are living your life “consistent with your deepest values” you will be “highly motivated from within” to achieve your goals. What are you living for right now? Is it in-line with your values? Visiting from FF. I have to say that I'm really distracted with that yummy pizza. Love your blog. I'm a new follower. Take care. Great thoughts! I have to agree 100%. We MUST know what is driving us & what the ultimate goal in life is. Otherwise, we're just wandering. I, too, though, know this & often fail to stay focused. Thanks for sharing! What a good reminder to keep us focused on what's important. I do a lot of thing to show my family that I love them. My family is always at the heart of my motivations 🙂 I love to make our home warm and welcoming and a shelter from a crazy world. And, yes… I have a salsa recipe that I will be happy to share with you. It is on the mild side. My husband wants to make a least one or two batches of spicier salsa this fall. I love it spicey, but my tongue doesn't . You know how sometime you can get little canker like sores on your tongue when you eat nuts?? Well if I have too spicy of salsa, the same thing happens. So I will give you the original recipe and then you can turn up the heat if you'd like. I just heart your Tice Talk Thursdays! I am going to have to get me this book. Did you say I can find it on Amazon? I think I would like to read it after I put my Rylee down for the night. Something that I can focus on when I am by myself. I came across your Beer Bottle Chicken Marinade recipe just the other day when I was going through recipes. That right there is sooo delicious!! Another great post. I, too, feel kind of like I struggle through the days sometimes, but I can't pinpoint why. I feel as though I am being true to my values. HHHmmmm…this one is making me think. I’m already a Friday follower, but wanted to say hi! Hi, I am a new follower from Friday Follow! Terra- My hope is that this 12 wks focused on Tice Talk will help me focus…we'll see! Kerin- Your blog just oozes what you care about! That is why I love it so much. Can't wait to get the salsa recipe. I planted my maters today and bought some cilantro to pot as well! Glad you like Tice Talk and the Chicken! You can purchase Smart Talk used on Amazon. It is out of print, so you will likely have to buy it online. Katie- Glad it makes you think… makes me think too:) That is why I like it so much!